Safari.............Africa's famous wildlife in its own environment plus bird watching and reptiles.Day and night drives with bush and game walks. The Coast ......The scenic Natal coastline and the warm Indian Ocean offers beautiful beaches and chances of seeing dolphins and even whales. History............Many historical sites including the Northern Natal Battlefields. Clubs Discos You want them ........Sorry then go to Benidorm because we cannot compete. 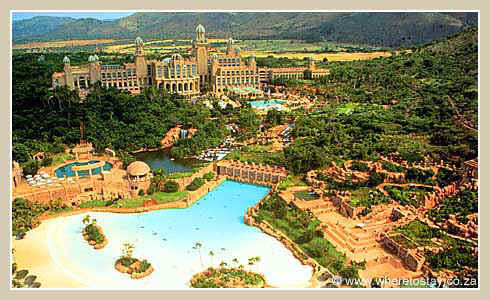 Casinos.............Visits can be organised both on the coast and from the bush. Mountains and scenic beauty... The Drakensburg Range,Blyde River Canyon, South Africa has something for everyone. South Africa is often referred to as "A WORLD IN ONE COUNTRY" Because of its natural scenic beauty. Desert , Semi Desert, Mountains, Bush, Beautiful Coastline a huge diversity of cultures, plus one of the best climates to be found anywhere in the world. This makes South Africa an ideal holiday destination which can be enjoyed 12 months of the year. Zululand, Isandlwand, Rorkes Drift, Fugitives Drift. The Drakensburg Mountains. Breathtaking Scenery. This action was at Rorke's Drift Wednesday the 22nd and Thursday the 23rd of January, 1879, when some 150 soldiers defended a supply station against some 4000 Zulus. 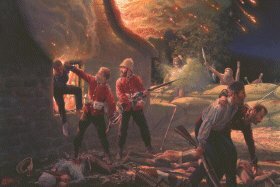 11 Victoria Crosses were awarded at Rorke's Drift. 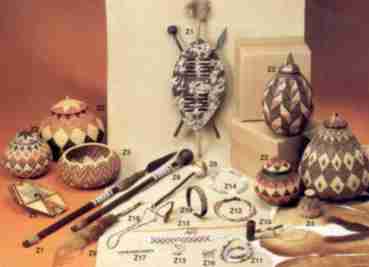 A selection of Zulu handicrafts.